Every year I tell myself that "this year I will not go overboard on Christmas gifts!" Last year, because we had spent so much money on our Epic Vacation, I was really serious. But, apparently not serious enough, because come Christmas morning the tree was overflowing with gifts. I just love Christmas and buying Christmas gifts for my children so dang much that I can't help myself! But even little things add up, and before I know it, I'm completely over budget. 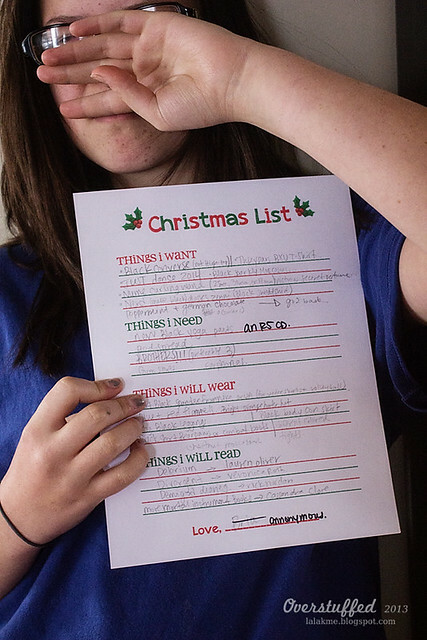 I always start out each year thinking that the kids will get four gifts: Something they want (from Santa), something they need, something they'll wear, and something they'll read. I love that idea. 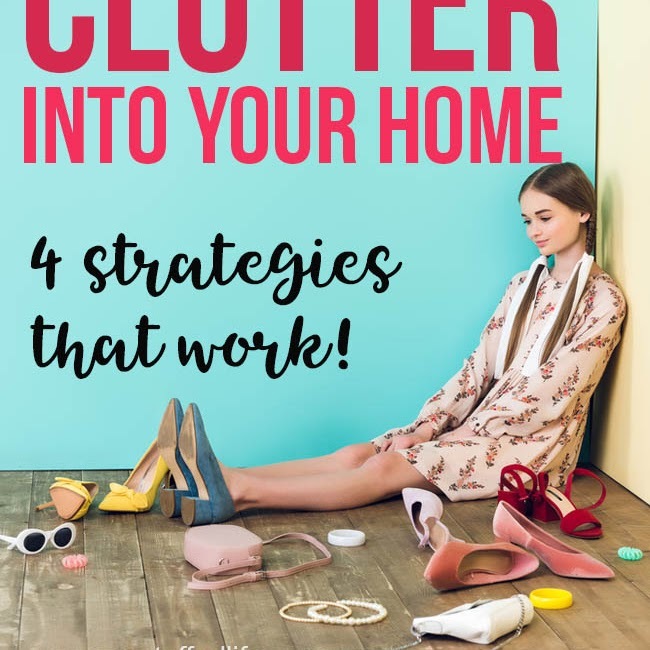 But then I want to buy them five things they want, and I notice that they really need underwear AND socks, and look how cute that skirt/dress/shirt is, and you can never have too many books, right? We have made such amazing headway on our debt this year that I don't want to sabotage that. I love seeing that big red number go down, down, down and I'd really like it to keep going down in December. 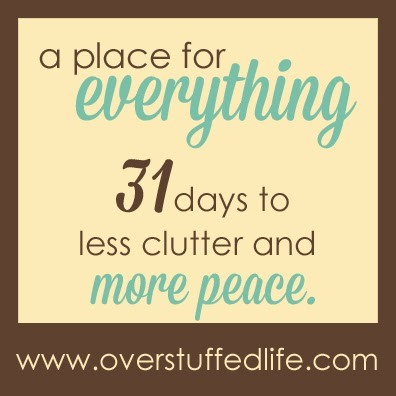 Which means, (say it with me) "This year I will not go overboard on Christmas gifts!" 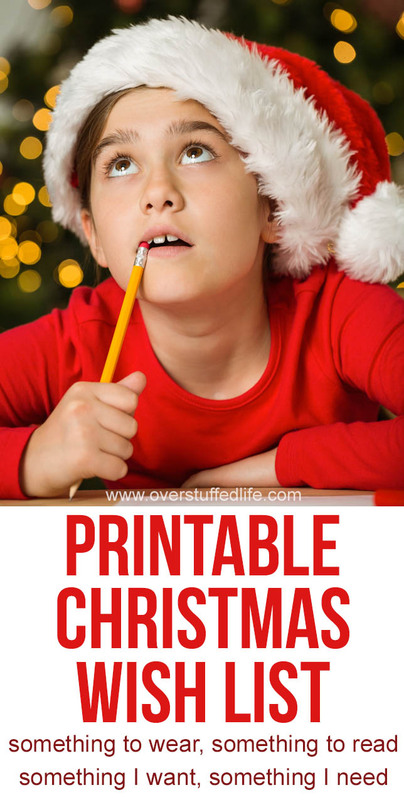 I've seen this great printable floating around Pinterest to help support the four gifts only idea. However, when I went to print it out, I realized that it doesn't quite fit for our family. First, we downplay Santa over here quite a bit. I have much more I could say about that in another post, but suffice it to say I'm uncomfortable with Dear Santa letters. Second, there's only one line for each item! Where's the fun in that? I like to have lots of options to pick from so that my girls are surprised on Christmas morning. So, I made one (you can download it at the end of this post). It's fun for me to see how my girls distinguish wants from needs. Like "things to wear" are on wants, needs, and wears for Bria this anonymous person living in my house. She is definitely a teenager! Apparently she also needs "BROTHERS!!! (preferably 3)" but I'm pretty sure that's not even possible, because we all know that if I were to actually have another child it would definitely be a girl that I would call Phoebe. I am in love with her book list, too. I am in love with her, actually. 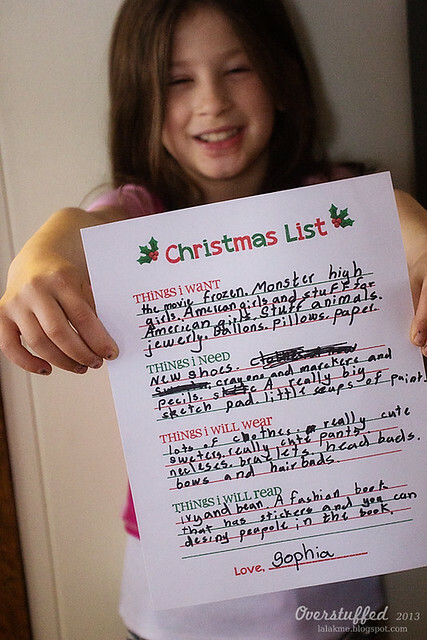 I like how Sophia wants paper but needs a "really big sketch pad." She also needs "little cups of paint." And she will only wear "really cute" clothes. Because a really cute girl like Sophia has to have clothes that match her high level of adorability! 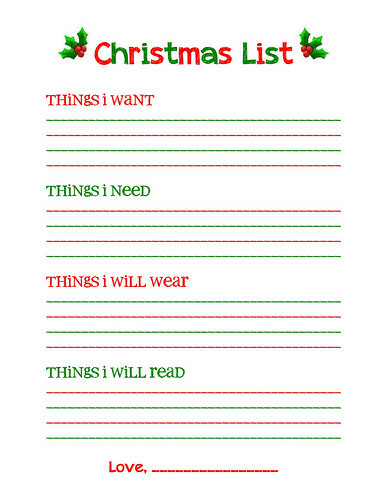 As a mother, I adored this little Christmas list writing exercise. 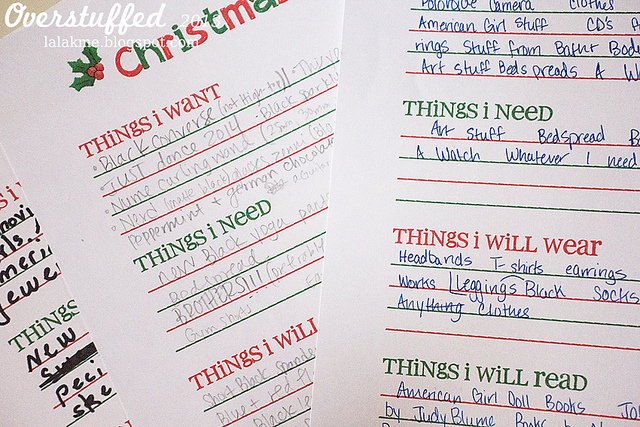 Now to make sure I don't buy all the things—not even for their stockings! Enter your email into the form below and the printable will be sent directly to your email inbox. If you are on a mobile device, click here to see the form. Enjoy it! 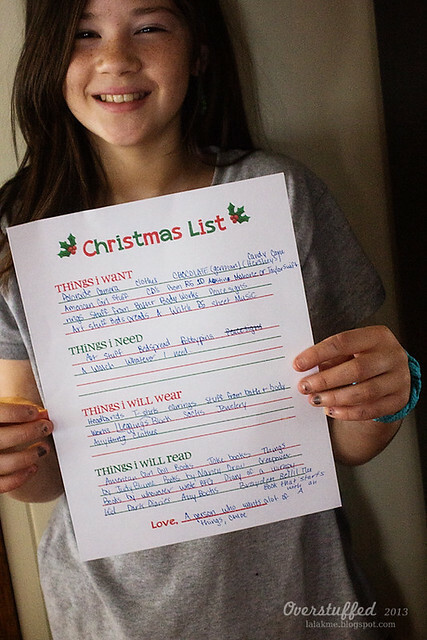 It has really helped our kids to think through their Christmas list instead of just writing down everything they might want. And it has helped us as parents to buy them the best gifts instead of ALL the gifts. I have three boys...one VERY musically inclined...who probably would like three sisters....especially if they could only switch for short times every so often. Good luck!